A bundle of joy for Loz Hunt! Do you remember our superstar fundraiser Loz Hunt who held three movie nights over the years and whose best friend Tanya and husband Rohan climbed Mera Peak for Kiss Goodbye to MS last year? Yes? You’re the best! No? Let us jog your memory real fast. Loz has been part of our infamous MS Squad for many years and raised an incredible $28,384 for MS research with her fundraising activities. Ever since Loz was diagnosed with relapsing remitting MS five years ago, she’s been determined to help wherever she can to raise funds for research into MS, so that one day our researchers can find a cure and our children don’t have to face the same uncertainty and invisible symptoms Loz is living with. A few weeks ago Loz got in touch with us to share some incredible news, and we are still speechless! Growing up most girls dream of becoming a mother one day, and this was no different for Loz. Things took an unexpected turn when Loz had a severe reaction to her MS treatment, which lead her to make a surprising, incredibly beautiful and brave life changing decision! During her visit with her neurologist, Loz’s doctor asked her if she was planning to have children one day. Despite herself being single at the time, Loz said yes of course. But her doctor continued with an unexpected response and said it would be best for her to have a child now. Due to the possible side effects of her new treatment, Loz’s neurologist said he couldn’t guarantee that she would be able to fall pregnant later on post treatment. For many women this would have been the end of their dream and heartbreaking news to comprehend- not for Loz! As she was single at the time, Loz thought of a plan B and decided to try IVF for single women with a donor sperm. And guess what– it worked first time! 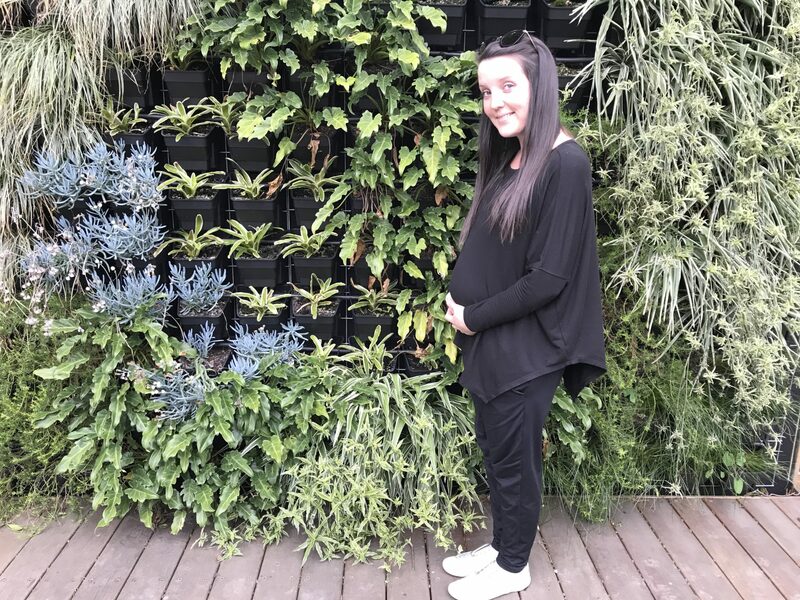 Loz is now 24 weeks pregnant and expecting a little baby boy! We are over the moon excited and so happy for Loz! Being the wonderful and passionate person that Loz is, she will be an incredible mother to her little one and we can only say a huge CONGRATULATIONS Loz, you made a brave decision and are not letting MS define your life or family situation, you go girl! Families come in all different shapes and sizes and we are sure this little boy will one day proudly tell his mum’s story when he’s older. Kiss Goodbye to MS is a campaign about hope and empowering each other to live life to the fullest despite MS. We are bursting with excitement and are so proud of you and your decision Loz, we can’t wait to meet your little baby boy!